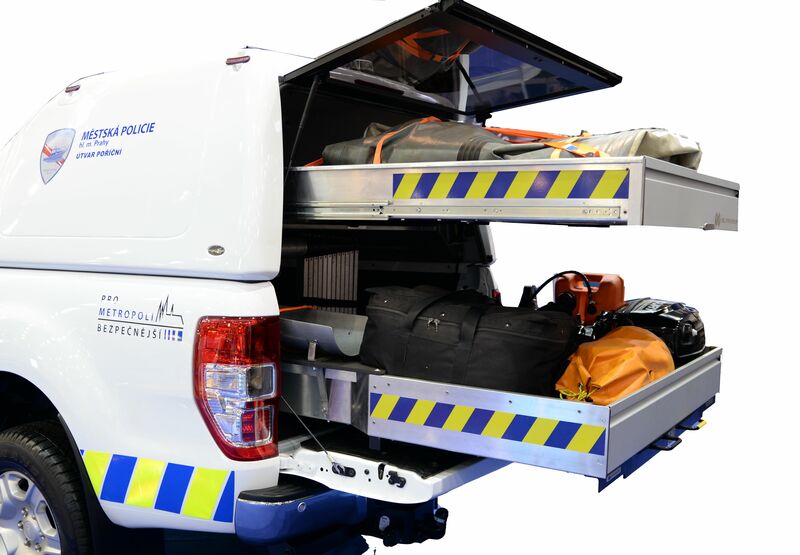 Two-floor pull out system, built into a Ford Ranger for riverine police. 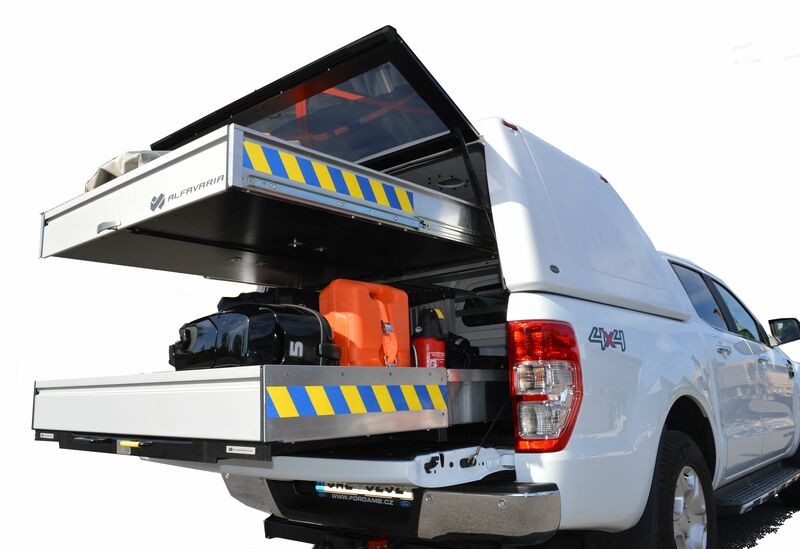 The lower pull out tray with a load capacity of 240 kg (530 lbs) is used for anchoring of material, such as boat engine, jerry can and other special accessories. The upper pull-out tray with a load capacity of 100 kg (220 lbs) is used for inflatable boat and paddles. Bothe trays operate independently and can be pulled out both at the same time or each at a time. The system is equipped with a locking mechanism in closed, fully open and few intermediate positions. Available for any type to pickup truck or van, suitable for any profession. 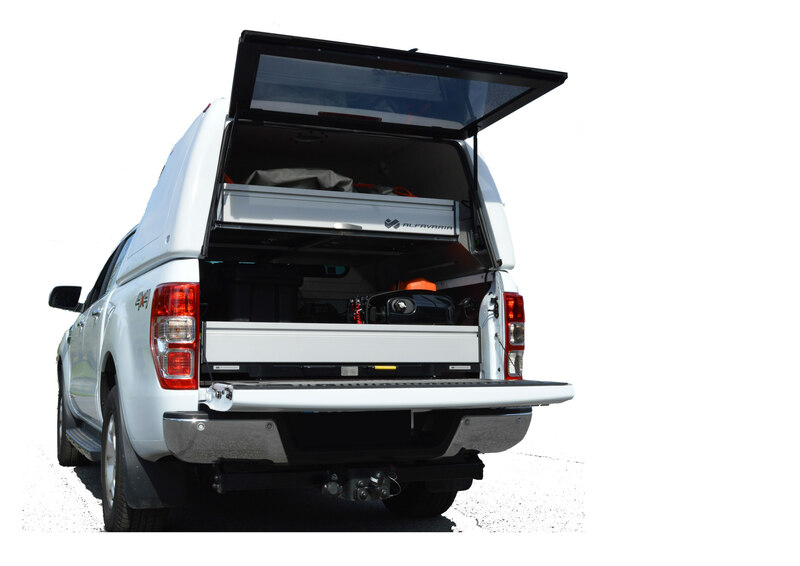 Do not waste your truck bed space, similar solution can be used for for mechanics, handymen, fire and rescue corps, etc.